Welcome to the world of off-road and steep SUVs! Forget the classic games that you are used to! 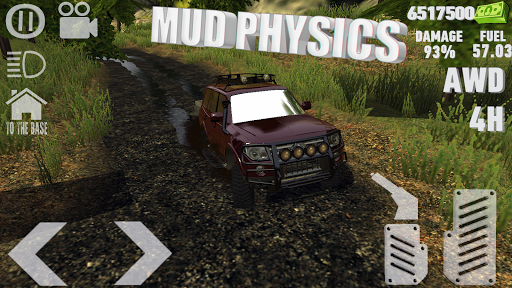 In this game, many "off-road" skills are hidden, which you will learn every day! Choose one of the cars, completely different from those to which you are accustomed and have different pendants, and continue your journey! Each car has a flexible setting, sets thresholds, bumper, protection and a basket, installs more passable wheels - make your SUV your dream! 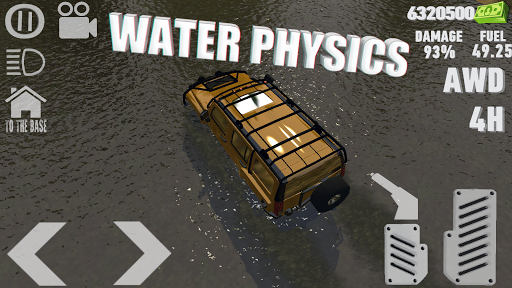 In addition to complex roads, be prepared to deal with dirt and powerful water flows! Impressive graphics and realistic weather conditions, in no way inferior in quality to game consoles, will make you addicted to this game! Find in another game "off-road cars" such realistic images or an incomparable atmosphere is almost impossible! We know perfectly well what you are looking for! 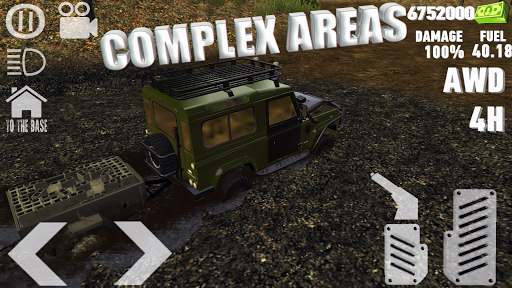 This offroad simulation is for you. What are you looking for? Dirt, steep climbs, amazing turns - all here! bridge, overcome the ford, finally get stuck in a narrow place so you can not get out! Here it is a real off-road trip! If you are already very excited, you can start playing! Get ready that your tires will get stuck in the dirt! Take part in the adventure, do not miss your chance! BE PREPARED FOR ADVENTURES WHICH ALL YOUR STEREOTYPES ABOUT THE "COMPLETED" GAMES DESTROY! LEAVE THE LAWS OF PHYSICS ABOUT ROADS AND SUPER ATMOSPHERE WITHOUT RULES! Will be added multiplayer, online with friends will be more interesting.